In case you haven't noticed, I've been trying to make my reviews more structured but there are just some products that I just can't write that much about! I don't want to drag on! So I thought I'd do little "quickie" posts. Short, sweet and to the point. Today's Quickie? 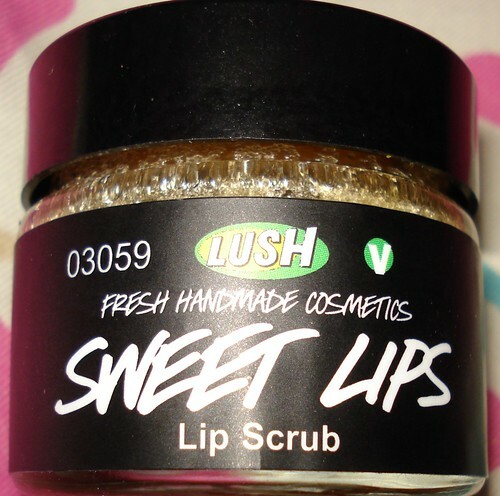 LUSH's Lip Scrub in the flavor "Sweet Lips"
Rub it on your lips and let it strip away the dead, chapped, dry skin and you can either lick the product off, or do what I do, and rub excess away with a washcloth to reveal lips that are smooth and fresh! After the scrub, apply your favorite lip conditioner. 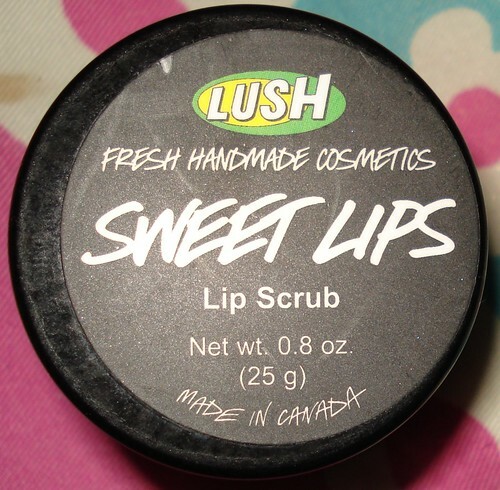 I've been using Fresh's Sugar Lip Treatment and my lips feel super moisturized and slippery! Would I recommend it? Yes! Even though this can be easily made at your house with sugar and few other ingredients, this is a bit easier. 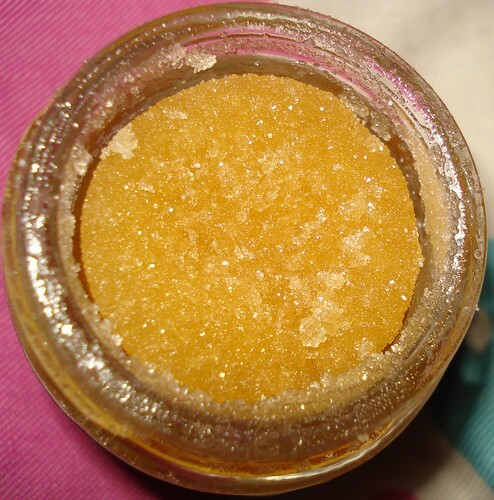 This can be a little messy since the sugar is so fine, so do it in small increments until your lips feel alive again!